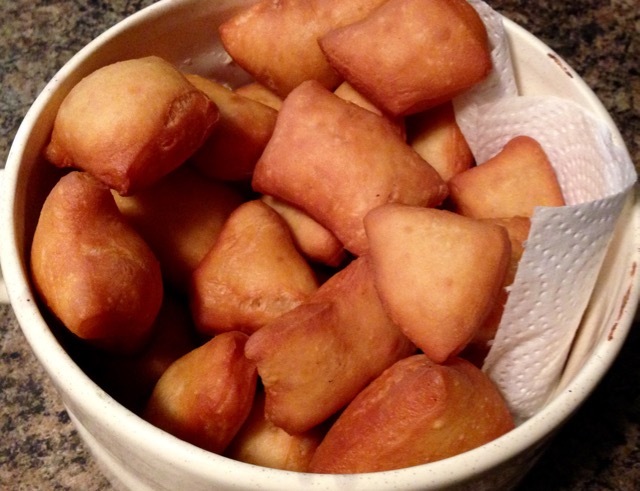 Mandazi is a kind of doughnut or fried dough made in East Africa. 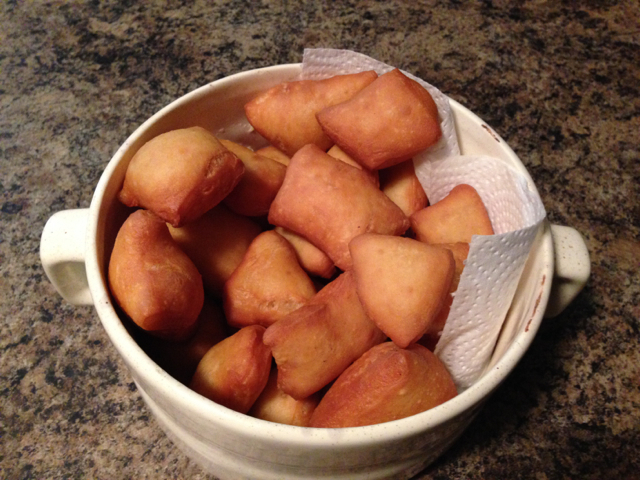 It can be made using baking powder or yeast and mixed with water, yoghurt, coconut milk or milk. There are hundreds of recipes out there. This is one of my favourite recipes. 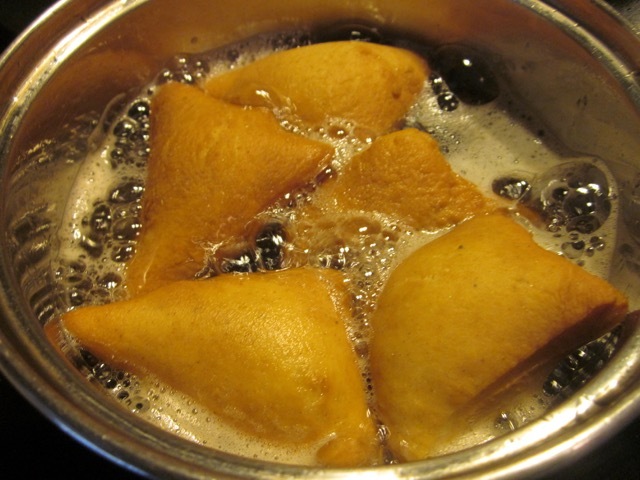 Deep-fry at 380°F, turning frequently, until golden brown on both sides. I just fried mine on the stove top and since I have done this a thousand times, I never use a thermometer to check the temperature of the oil. Serve with tea, coffee, or eat as a snack. In East Africa, it’s always served with Tea. Sift the flour, baking powder, cardamom and sugar. Rub in the margarine. Make a well in the centre of the flour. Add the egg, buttermilk and warm water and mix to a very soft, almost sticky dough. 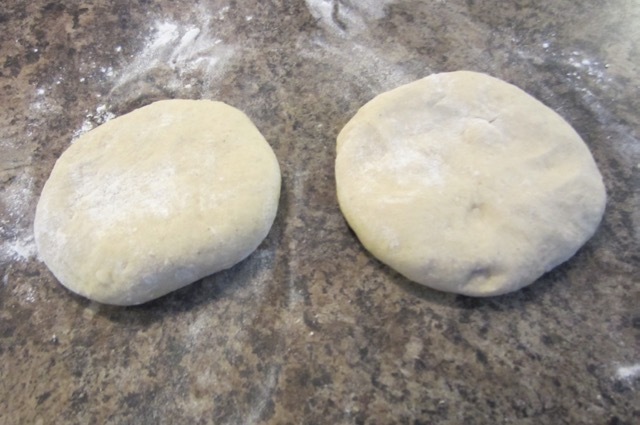 Turn on a well-floured surface and knead for 5 minutes until very soft and elastic. Divide into 2 balls, flatten the balls on a well floured surface, cover and let rest for 20-30 minutes. 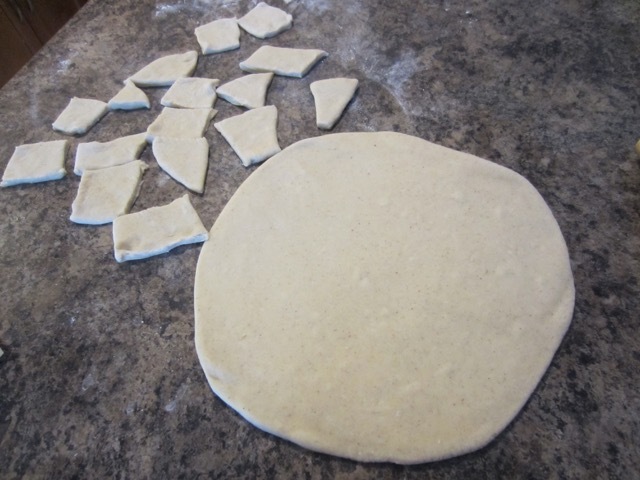 Roll the doughs into quarter inch thickness and cut to your desired shape. Deep-fry at 380°F until golden brown on both sides. I just fried mine on the stove top. In East Africa, it’s always served with tea. If you don’t have milk/yoghurt you substitute with 60ml (¼ cup) water, but note that the texture will be slightly different.